Everybody loves getting gifts in the post and it is even more heartfelt when these gifts are handmade and edible! Cookies and muffins are great if you are recovering from an illness, or you simply feel homesick for some traditional family cooking. Make sure your baked goods reach their intended destination in good condition with our top hints and tips. You can never pack your baked goods too well. By ensuring that all Tupperware containers are sealed with cello tape and then placed inside a larger container, you are reducing the chances of the goods being exposed to air, plus you are reducing their chances of breaking from being thrown around. Place the smaller container in a larger container and fill with packing peanuts or bubble wrap to ensure that the container does not move around in transit. Pack soft cookies or muffins with a slice of bread or a slice of apple, as these help the goods to retain their moisture. 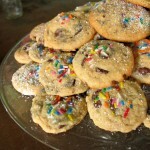 If you are packing up cookies, try not to pack moist cookies with hard ones, as the moist cookies will soften the crisp ones. If you have to pack them together, make sure each cookie is well wrapped individually. For fast delivery and excellent service worldwide from Spain to Pakistan and further afield, choose RAND Logistics. The perforation of stamps during the Victorian age was often a subject of experimentation. Cutting stamps from imperforated sheets using scissors was time consuming and costly, so many different methods of perforation were used as a ways of saving time and money. Trials with the Archer Roulette and then with surface printing in 1855 were undergone, then tests were made with perforation, which quickly became one of the most popular methods and is still commonly used today. Embossed postage stamps were also used, in a variety of octagonal designs. The age of the Penny Red came to an end in 1880 along with the start of the new surface printed stamps. The Penny Lilac was issued subsequently in 1881 and lasted until the end of Victoria’s reign in 1901. 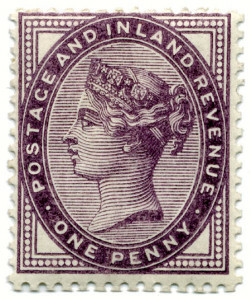 The Penny Lilac was also the first stamp issued that was valid as both a postal stamp and a revenue stamp; used to collect taxes or fees on documents. In 1883 and 1884, the postal service experimented with fugitive inks that faded quickly and washed out to prevent the stamps being reused, but these were short lived and not liked by the public. Because the reign of Victoria was coming to an end, a new set of stamps needed to be issued. For all your package and parcel needs, use RAND Logistics for a safe, reliable service. At RAND we offer an excellent service from parcels from Ghana to Greece and everywhere in between. Although many things have been digitized to keep up with the technologies of the modern world, stamps are and will continue to be, essential when it comes to sending parcels both across the country and internationally. Even though nowadays we type our letters out on the computer, and send emails and messages regularly, physical parcels still need to be sent by ‘snail mail’. So stamps are as essential now as they were when they were first introduced. The first documented case of letters being sent and received on a long distance basis was in the 12th century, when Henry I assigned special messengers used to carry letters for the government. However the first unofficial ‘stamp’ was not conceived until the 1660’s, when following complaints made about delayed letters, Henry Bishop the first Postmaster General introduced the ‘Bishop Mark’ which consisted of a small circle with the day and month marked inside, to show when it had been sent. This quickly became popular as the Postal system expanded to covering the entire country, whereby every city and town then had its own individual postmark. Shortly after this, in 160, William Dockra became the founder of a delivery system that would deliver both letters and parcels to the city of London and the surrounding areas; the London Penny Post. This system would deliver any package or letter weighing up to a pound for a single penny. For cost effective and professional service from Denmark to Dubai, choose RAND Logistics to send your parcel internationally. As the Chinese begin the week long celebrations to welcome the Lunar New Year, we have a look at some of the specially designed, limited edition stamps created across the world to honour the start of the Chinese New Year. These can come in a variety of designs, but often have something to do with the Zodiac animal of that year. 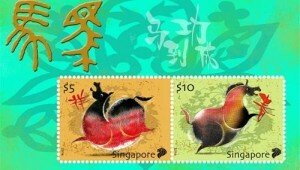 As this year is the year of the horse, many of the New Lunar Year stamps will feature the design of a horse. Some stamps are available only as collector’s items, whereas others can actually be used as real stamps. Sheets of specially designed Lunar New Year stamps will sometimes come on a printed background that has the phrase ‘Happy New Year’ written in both English and Chinese written across the top, or down the side. Sheets will also typically have a design printed on the background of fireworks, or a traditional Chinese dragon. Why not use your recently acquired Lunar Festival stamps to send a parcel to China or send a package to a friend or relative living overseas? With RAND Logistics, we can ensure that your package gets to its intended recipient quickly and safely. Why not use your unwanted junk mail as padding for sending far more important, more delicate packages? Shred the junk mail and use it to pack bags, clothes or as extra padding for heavy consoles that you want to send by post. Or if you have an item that you want to send, but the box is too big for the item, you can thickly pack the item with junk mail (shredded, so that your recipient doesn’t get annoyed at your handouts!) so that the gift cannot move within the bigger box. For even more delicate parcels, like glass or china, you can wrap them in junk mail and thickly pack junk mail around them by balling up the paper. You save a lot of money on packing paper, plus you are helping the environment by reusing your unwanted junk mail! Or alternatively you can always donate your unwanted junk mail paper to a children’s craft library or nursery, so that they can put your cast offs to better use. Make sure to destroy or remove your address from anything you send on to another recipient, as this could be used against you, or to even send you more spam and junk mail. Sending a special parcel internationally? Try RAND Logistic’s quick quote service for an instant quote. Our shipping rates are second to none. The first pillar boxes designed by the Royal Mail were in fact green, not red, to blend in with the landscape so as not to be an eyesore. 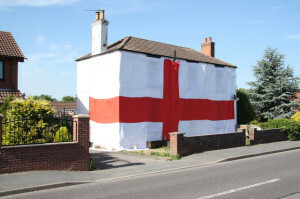 However they blended in a little too well and the Royal Mail office was flooded with complaints from people who couldn’t actually find their local post box. The decision was then made to paint them red in 1874, which took around ten years for the repainting of all the post boxes to actually take place, so the iconic red post box was not actually fully recognised until the late 19th century. 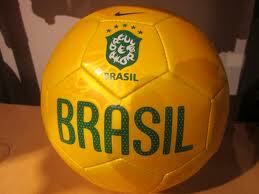 Although their design has not changed one iota since. It is actually possible to send dead animals as well as live ones, so long as the packaging or animal itself does not violate local postal laws about shipping biohazard materials. If the animal has been cleaned and preserved properly, and is kept in an air tight container then it is perfectly legal to be allowed to ship it. If you absolutely have to ship your brothers dead hamster to his home address by sending a parcel to Peru, find out how RAND Logistics can provide you with excellent service by using our Quick Quote function. On the last day of our Christmas week, let us discuss handmade gifts. 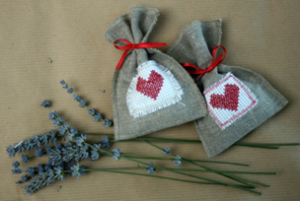 When done well, with time and effort put in, a handmade gift can be a really sweet way of showing someone you care about them. Before you decide to make the gift for your recipient, make sure you know that they would like this type of gift. Like it or not, some people aren’t the sentimental type, so a handmade photo frame might not be the best idea. Handmade gifts can be a heartfelt alternative to buying things off the rack. A necklace or a gold watch might seem romantic, but other people your recipient knows could have received the exact same gift, which makes theirs seem less special. Put a lot of effort into it, even if you have no experience with making gifts. Try your hardest with your gift, whatever it is, as your recipient will probably see the effort put into the gift, and will be more likely to appreciate it. It helps if your gift is practical in some way, or an accessory, like a pair of warm gloves or a keychain. Whatever your gift giving ideas are, make someone’s day with a parcel delivered by RAND Logistics. With our competitive rates throughout the world from parcels to Australia, to packages to the Ukraine you won’t need to use any other service for sending parcels internationally.